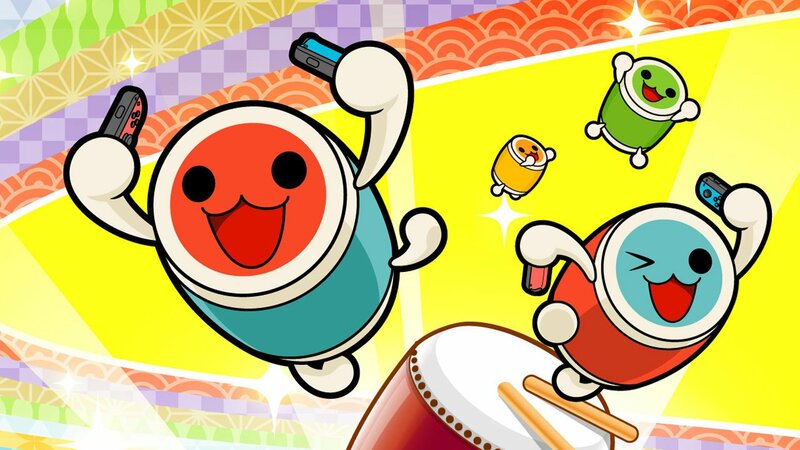 A free demo for Taiko no Tatsujin: Drum ‘n’ Fun!, the crazy, colourful rhythm game, has now appeared on the European eShop. This demo has been available for some time now on the Japanese eShop - as has the full game, in fact - but this is the first time that European players can get in on the action from their home store. The Japanese version is playable on Switch consoles around the world, provided you have a Japanese account to access it, but it doesn't have an English language option. The demo features two songs - a Namco original called 'FURIFURI♪NORINORI♪', and an entry from the game's 'classic music' section called "Overture from 'Orpheus in the Underworld'", composed by Jacques Offenbach. You can go ahead and download the demo right now directly from the Nintendo Switch eShop. 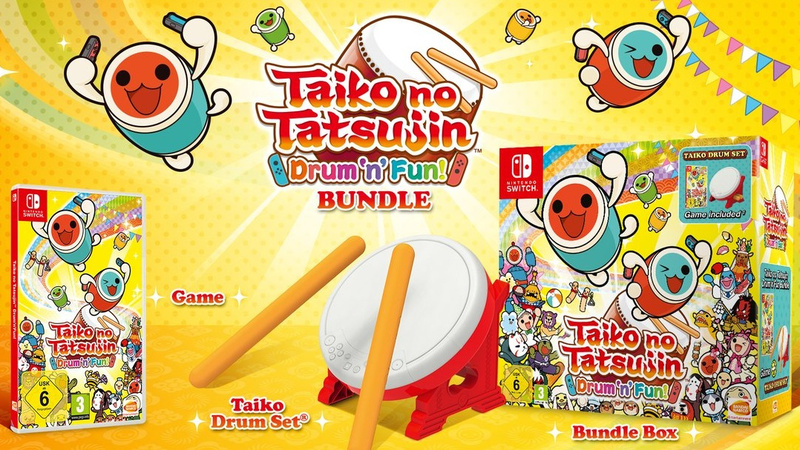 If you're wanting the full experience, European fans can also pre-order the game along with its drum set as a bundle, directly from Bandai Namco's official store; the drum is, without a doubt, the best way to play this title, so we'd urge you to grab one for yourself if your budget allows. The game releases in Europe and North America on 2nd November. Are you excited for this one? Let us know if you'll be giving the demo a go in the comments. Cool will use donkey bongos. Does it also download a physical drum? so...why can't this be pre-ordered yet in the US? Its a fun game, saw the Team4star guys stream the Japanese version a while back. I'll say that this game has some of the strangest variety of songs. Not going to bother with the demo, already have it on preorder. I was originally going to import the Asian release but cancelled my order and decided to just wait after Play-Asia screwed me around a bit. Fantastic game. Bright, colorful, upbeat. Arguably the best music/rhythm game on Switch even though the genre is packed with alternatives (Superbeat Xonic, Deemo, Musynx, Voez, etc). It might be the best game to showcase joy-con detacted tabletop mode as well. Strangely enough, the demo doesn't seem to be available via the Nintendo UK website. I'll have to get it via the eShop later. I love this game. Another great volume for the Taiko no Tatsujin series. I used my Donkey Konga Bongos for the short period of time whille I was waiting for drums to turn up. This game is amazingly fun. I was surprised how much fun it is with joy con motion controls or wih button controls, but I still imported the drum! Also, the Studio Ghibli DLC is awesome! Just wondering, I have the Japanese version (bought it in Japan) , but cant seem to enter the Eshop to purchase new songs now that I am home again as I have a European region account. Do you guys think that even tough I have the Japanse version I can still purchase songs once it is on the European Eshop? @Kaizoku I think you'll be able to, but that's just an uneducated guess. @RupeeClock did not find at nintendo.de as well. Is that a scheduled article that went live too soon? For the Ninjin Clash of Carrots demo, I had to go to the Switch eShop on the device itself to find the demo. The UK site did not have a demo option, but it did have the relevant pre-order discount option. @GauBan do they actually work? i actually have the drums, i'm guessing i need the gamecube adaptor though. @huyi yeah they do and yes you do need a GameCube adapter. They run as a pro controller with only A,B,X,Y you use a JoyCon for the menus. You can also configure if you have both centres as one drum and the edge on the other. Or you can have it so you just need to rock your hand over a single drum to have both centre and edge. You can't play multiplayer with 2 sets of Bongos. Loves me a good demo! I'm quite tempted to go all in drum and all if I like it! Definitely going to give this one a try. This game has been on my radar for a while but I've always been on the fence about it, going to see if the demo can persuade me for the purchase. @GauBan that is pretty neat, it's a shame it can't work with mp though. I downloaded the demo having read this and having owned samba de amigo on wii and before that DK Bongos on Cube. However after a five minutes of trying to understand and then doing the calibration for the motion control joy-cons, followed by trying the single player campaign several times on easy mode, I deleted it as it was obvious it has the same motion control issues that Samba De Amigo had with the wii-motes! I found the Blue Joy Con was less responsive than the Red and once that controller missed a shake down it threw out the red controller and there followed a load of misses. The joy cons also were hit and miss (Pardon the pun) with the side tap angle action. I even got my daughter to have a go and she duplicated the same result. I think I'll be giving this a big miss. @Rayquaza2510 What the hell? Bandai can afford to publish it at retail in EU but not in NA? Third go... I want the game and the drum! NOW!!! @Laxeybobby just use buttons or the drum. I love playing with the buttons btw. 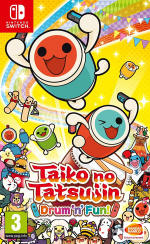 The only problem I have with Taiko No Tatsujin is the huge skill gap between normal and hard. It goes from hitting all the notes to how the hell am I going to do this? You could make yourself a japanese account... I have one. @Laxeybobby that's strange... I didn't have that problem.